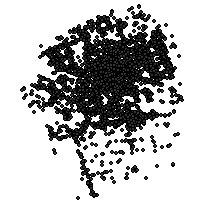 This data set contains the geographic location of parking lot centroids in the City of London, Ontario. Note: Previous editions of the information contained in this dataset can be found in the London Paved Parking Lot Centroids, London Unpaved Parking Lot Centroids and London Unknown Parking Lot Centroids datasets. To identify the location of parking lot centroids in the City of London, Ontario.